Most of the time, we start in different places and end up together. And there is a magic in that, in its randomness, its hopefulness, its singularity of chance. Sometimes, however, we start in a similar place, but at different times – and naturally end up in the same place at the same time. The Invisible Dog began its life as a flea market in 2009. To make space, to make money, to fill the space anew, what had been inside 51 Bergen Street needed to be sold off. In doing so, doors were opened and friends walked inside. Since this opening, The Invisible Dog has been dedicated to providing a home for independent, commercial designers in various fields. Our ground floor gallery space serves as diptyque’s only storefront in Brooklyn. In the early 1960's, at 34 boulevard Saint-Germain in Paris, three friends started a bazaar together to match their passion for designing, collecting, and fulfilling their curiosity - and ours- for the weird and the new. 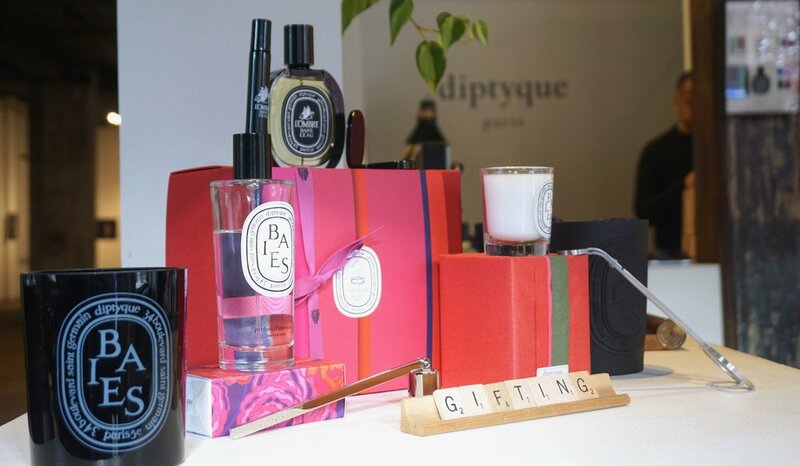 These friends and their bazaar became diptyque. diptyque is the most recent shop to live within The Invisible Dog.